Protect Your business, by installing high-resolution CCTV IP cameras in your premises. 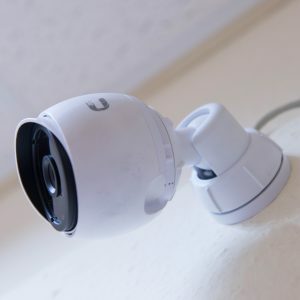 Due to demand from our customers tri-IT have developed experience in the installation and support of IP based camera systems to provide our customers total supervision and security for their operations. CCTV IP Camera systems are quick to install using existing CAT5/6 network wiring reducing the need for additional cabling costs. IP CCTV infrared cameras provide superb quality images at 1080 DPI resolution for both interior and exterior views both day and night providing peace of mind. Images can be stored onto a suitable hard drive for storage and later review, with individual cameras configured for continuous operation or set for movement activation. Modern IP CCTV cameras systems also provide remote access to the cameras via an internet connection and a simple App installed on a smartphone. These systems enable you to view office activity even when you are away on holiday. 1080 HD resolution at 30 FPS. 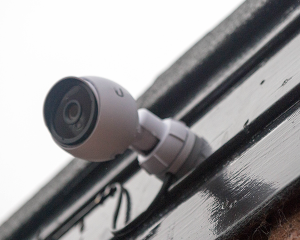 For more information and best prices on CCTV IP camera systems, contact us to discuss or email sales@tri-it.co.uk to book a free security audit.